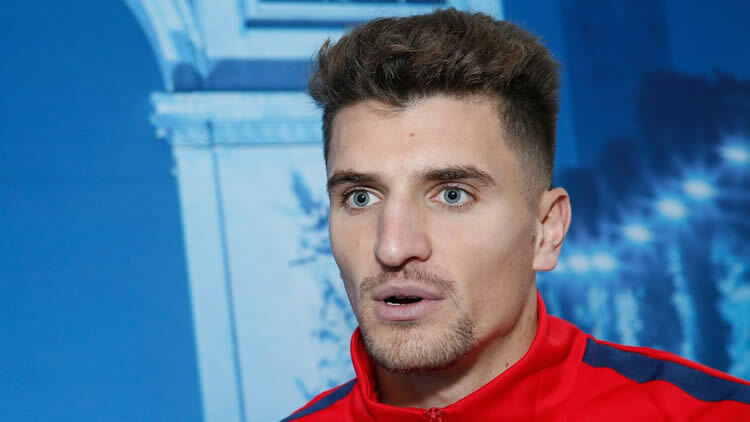 Man United are closely monitoring PSG right-back Thomas Meunier and planning to make a bid during the summer transfer window. Norwegian manager wants to improve the back-line, and his primary target is Belgium international who has a good campaign and proves his worth one more time. Ole Gunnar Solskjær set to spend big money on the player in July when the transfer window opens again. Everton and Arsenal are also interested in signing him, and there will be a battle for the footballer. Meunier joined the Parisians from Brugge in 2016 with a €6m deal. He is one of the best right-backs in Ligue 1 and unchanged figure for the club. In this season, Thomas already played 28 games, scored five goals and made seven assists in all competition. It is a fantastic result, and he can improve his consequences during this campaign. The Belgian defender has contracted with the French club until 2020, and his release clause is nearly €35m. His price could increase during this season and become much more. The 27-year-old right-back is a regular member of the national team and also helped them to win the bronze medals in the 2018 World Cup which is already a big success for the footballer. Red Devils have an excellent result in the Premier League as they are in a fifth place in the table and have a chance to finish this tournament in top 4. English club lost the Champions League first quarter-final match against Barcelona 0-1, and it will be difficult to reach the semi-final. Man United signed several footballers last summer like Fred from Shakhtar Donetsk, Diogo Dalot from Porto and Lee Grant from Stoke City.